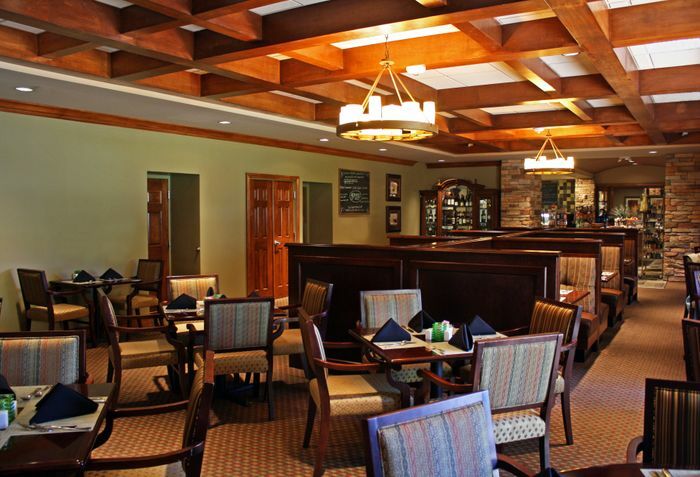 PALM HARBOR, FL –To bid adieu to 2012, the Market Salamander Grille & Bar at Innisbrook is offering a special menu with $12 specials for the twelfth and final month of 2012. From December 10 – 16, you can enjoy these specially priced items, as well as the restaurant’s new menu which was just created by newly appointed Executive Chef Andrew Coniglio. Additionally, Chef Coniglio has created an evening to discover Europe with 12 components from 4 seasons, 4 countries in 4 courses, only available on 12/12/12 at Packard’s Steakhouse, overlooking Innisbrook’s Copperhead Golf Course, for $84 per person, plus tax and gratuity, reservations required. 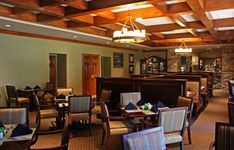 Market Salamander Grille & Bar offers breakfast, lunch and dinner daily with dining offered in the main restaurant, in the popular bar with televised sports, or outdoors on the patio overlooking the golf courses with 2 fire pits and comfortable seating. Live entertainment is offered on the patio each weekend. The $12 specials include the Holiday Sandwich with warm carved Turkey and traditional stuffing, the Festive Flatbread and two joyful cocktails, the Chocolate Covered Candy Cane and the Sugar Plum. Packard’s Steakhouse serves only the finest aged Premium Beef steaks and seafood specialties and exceptional wine list, and is open to the public by reservation. Packard’s is named after Innisbrook’s golf course designer, Larry Packard, who just celebrated his 100th birthday at the restaurant in November. Operated by Salamander Hotels & Resorts, Innisbrook is situated on 900 wooded acres of rolling hills in the St. Petersburg/Clearwater area on Florida’s Gulf Coast, and is located just 25 minutes from Tampa International Airport. Recently and completely renovated, the resort features 72 holes of championship golf, 550 spacious guest suites and rooms, four restaurants and three bars, the Innisbrook Golf Academy, 11 tennis courts, the new luxury Indaba Spa with 12 treatment rooms and state-of-the-art Fitness Center, six heated swimming pool complexes, a nature preserve, and three conference halls with 65,000 square feet of meeting space. Part of the Grand Golf Resorts of Florida portfolio, Innisbrook hosts the annual PGA TOUR Tampa Bay Championship at its famed Copperhead Course, and the LPGA-supported ISPA Legends Tour Open Championship, held annually at the equally challenging Island Course. Innisbrook is a member of the prestigious Preferred Hotels & Resorts and Preferred Golf Club programs. For additional information call 727.942.2000 or visit www.innisbrookgolfresort.com. Salamander Hotels & Resorts is a privately owned and operated company based in Middleburg, VA, just outside Washington, D.C. Founded by entrepreneur Sheila C. Johnson in 2005, the company has a portfolio that features the Grand Golf Resorts of Florida, a collection of three stellar golf resorts including the recently renovated Innisbrook Resort near Tampa, Reunion Resort in Orlando and the oceanfront Hammock Beach Resort in Palm Coast; and the eagerly anticipated Salamander Resort & Spa in Middleburg, a 340-acre equestrian-themed, ultra-luxury resort opening in 2013 and located near Washington, D.C. For additional information, call (540) 687-3710 or visit www.salamanderhotels.com.